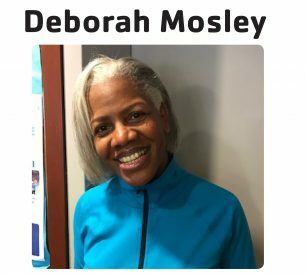 Home Blog Rye Y Story Project-2017 RYE Y STORY PROJECT: DEBORAH M.
RYE Y STORY PROJECT: DEBORAH M.
I have shared my Y story before but have been wanting to tell an update for some time. Anna was the lifeguard at Aqua Jog. At the end of one class, I started having a horrible leg cramp. I was in so much pain I wanted to scream. I looked around and no one was really paying attention that I was having a problem. But Anna was so on point. She went all the way. She picked up that something was wrong with me when no one else did. She came over, told me to take deep breaths, and held me. She was compassionate and discreet. The more I listened to her soft, controlled voice and continued to breathe deeply, the cramp slowly went away. I was so happy that she was there. I will always remember her kindness and professionalism as a life guard. That’s how the staff is at the Rye YMCA!